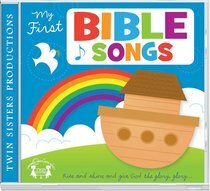 Lead little hearts in the joys of learning about God through music with these easy-to-sing Bible songs. Sung by children, for children, these classics will inspire kids with truths from God's Word through uplifting melodies and beautifully arranged music. About "My First Bible Songs"